Reviewing a book doesn’t always mean reaching for the latest title on the release calendar; sometimes the best cookbooks are ones shelved under the “tried-and-true” category, with rough-edged pages from repeated use. 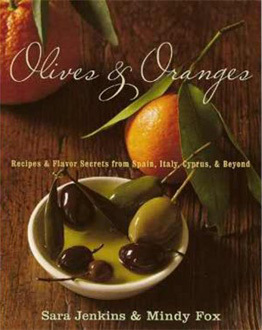 Olives and Oranges: Recipes and Flavor Secrets from Italy, Spain, Cyprus, and Beyond, co-authored by New York chef and restaurateur Sara Jenkins and Mindy Fox, is one such example. But what makes a cookbook pass that test of using it more than one or twice? Or falling in love with just one recipe that becomes a perennial favorite? Two things set this cookbook apart for me. First, Jenkins helps the reader really understand the power of simple ingredients with “Flavor Tips” scattered throughout the book. Personal insights about the small details that really make a difference. If you can master the value of pantry tools like salt, extra virgin olive oil, lemon juice and a few spices, you have a world of flavor at your fingertips. Second, the authors tapped into the way most people approach fixing dinner: either you have a few minutes to throw something together, what the authors label “Quick-Cook” or you want to relish the experience and take your time with recipes more aptly characterized as “Slow-Cook”. It’s just a very intuitive way to create a cookbook which makes it even more intuitive to use. Of course, the recipes also have to be great on their own. And if they didn’t liberally feature olive oil, it wouldn’t be on our radar. The range of options from countries that celebrate the Mediterranean diet on a daily basis is a window into Jenkins’ own childhood experiences at kitchen tables from rural Italy to Spain, Lebanon and Cyprus. Along with co-author, Mindy Fox, Jenkins has assembled a wonderful assortment of dishes that include the inventive use of olive oil on almost every page. As Paula Wolfert, acclaimed expert of Mediterranean cuisine, proclaimed, “This is a keeper”. We agree wholeheartedly.